Dramatic looking coupe. 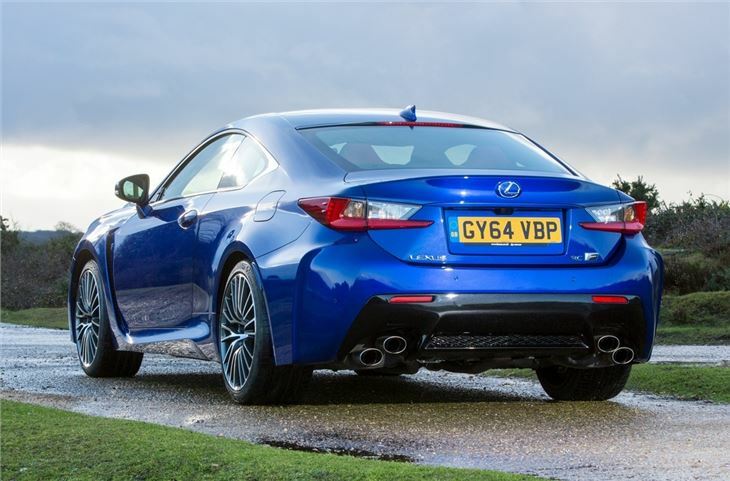 RC F came first with vocal V8 engine and 477PS. Comfortable ride with a usable boot. RC300h is very smooth and refined. Some dated features like foot-operated parking brake. Indecisive automatic gearbox on RC F.
When it comes to offering a premium coupe, Lexus has taken it's own path with the RC. Its striking looks, big grille and angular lines mean it never fails to stand out, even in more subdued colours. It's also not taken the same path as the competition when it comes to power. 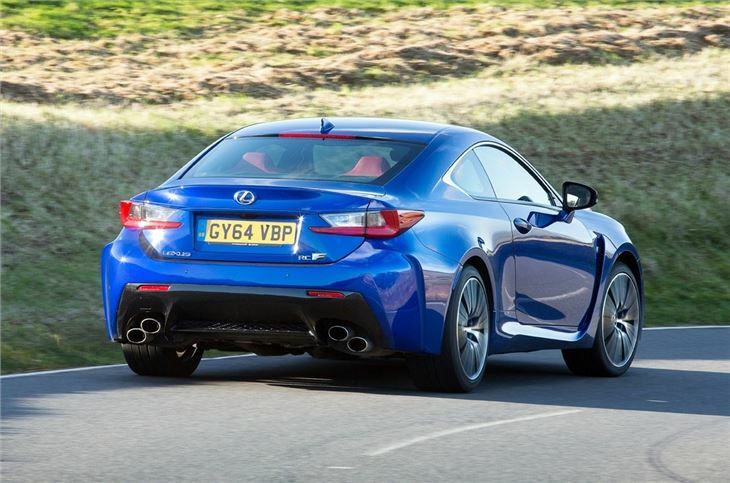 Lexus of course, doesn't do diesel, so instead the RC comes with a petrol engine or a hybrid system. 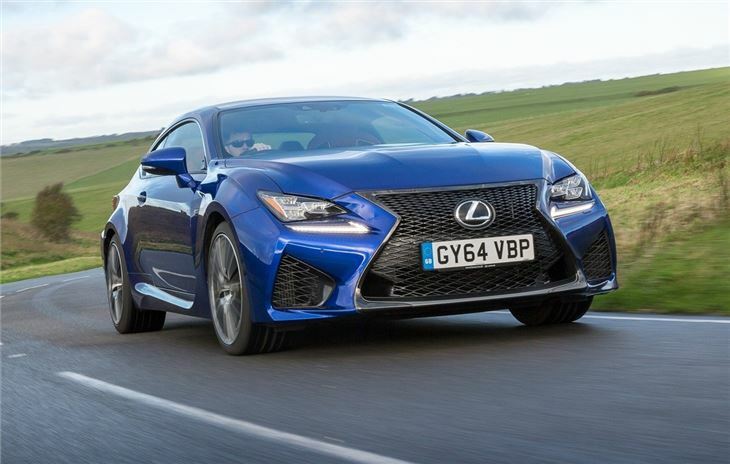 There is also a high performance model in the shape of the 5.0-litre V8 powered RC F.
So while on the surface this could be seen as a competitor to the BMW 4 Series and Mercedes E-Class Coupe, it takes a somewhat different path, prioritising comfort and refinement. Go for the 300h - and it's the model we'd recommend - and you get smooth performance from a relaxed and sophisticated coupe. That's not to say the RC isn't capable in corners. In fact it's very assured thanks to decent grip and impressive body control, but the artificial feeling steering means this isn't a car you'll want to throw into corners. Instead it's far happier cruising along. 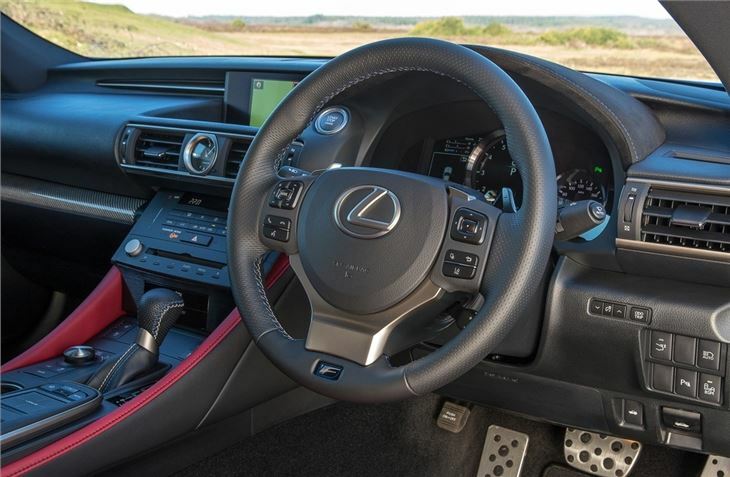 It's also a very sophisticated car with plenty of onboard technology and an unusual multimedia system that's controlled by what Lexus calls the Remote Touch, it's basically like a touchpad on a laptop. 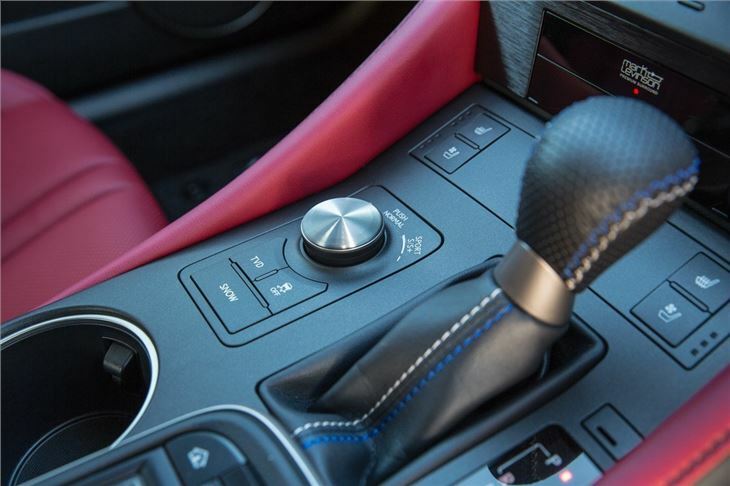 The quality of the interior finish is excellent but there are some disappointing features. For all the RC's modern technology, it comes with a dated foot-operated parking brake while some of the switches and buttons feel old-hat. There's nothing wrong with the driving position though and the seats are incredibly comfortable with good lumbar support. While the interior is best described as 'snug', it's nonetheless spacious enough for two adult passengers, with a decent sized boot and a firm but agreeable ride. 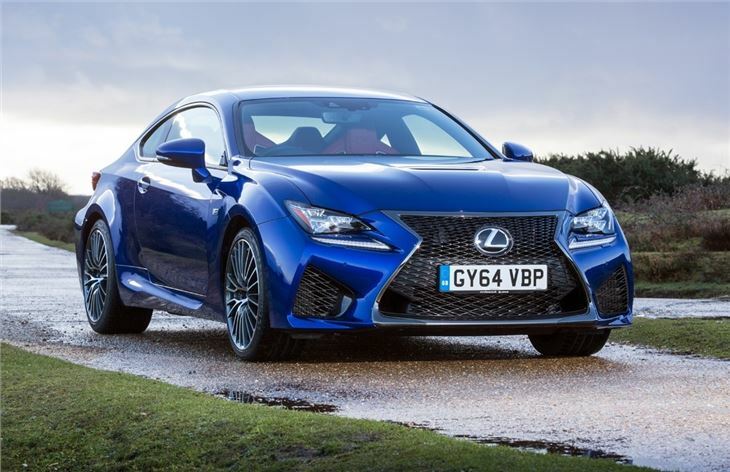 The RC F is described by Lexus as a "2+2", which means the small rear seats are only intended for occasional use - and indeed with anyone of a reasonable height in the front, rear legroom all but disappears. 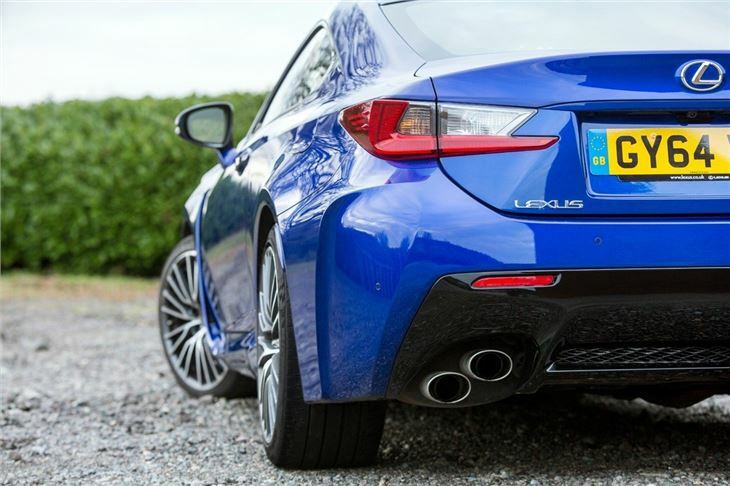 Being a Lexus, standard equipment is high, with all models getting cruise control, leather electric and heated front seats, a seven-inch display. However, you will have to pay extra for navigation.